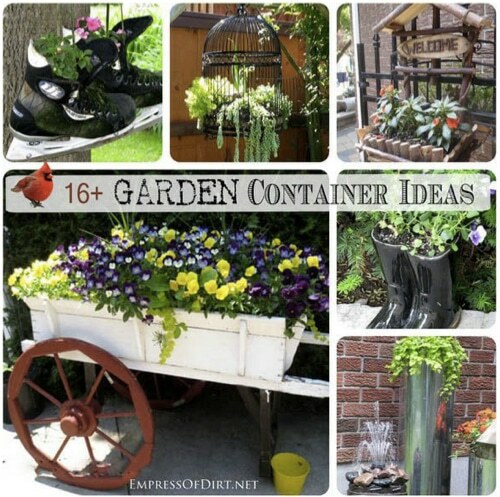 Have you run out of ideas for garden containers? Here, you’ll find a host of ideas collected from various summer garden tours. Ladders, teacups, shoes and boots, are just a few of the creative containers. Don’t miss the real show stopper: A giant, partially buried wheat thresher from farming days gone by! It’s a really beautiful way to transform otherwise abandoned machinery.